On Tuesday, October 2nd, representatives from Rachel’s Challenge will be presenting at Riverwalk Academy. There will be a presentation (assembly) specifically for elementary school students at 9:00 am, and another assembly for students in middle and high school at 10:10 am. Both assemblies are tailored to be age appropriate to the different grade levels. There will also be an evening presentation for parents and community members on the same day from 7:00 pm - 8:00 pm. The elementary and middle/high assembly will take place in the gym of Union Baptist Church and the evening presentation, for the parents who are unable to attend during the day, will be held at Riverwalk Academy’s Multi-Purpose Room. Parents are invited, and encouraged, to attend the assembly with their child. To help us prepare for enough seating for all three events, we’re asking that parents who would like to attend, please RSVP at this link. If you would like to see a preview of next week’s presentation, please visit this website. Parents of elementary school students should scroll to the bottom of the page to view the “elementary program” preview video. Parents of middle and high school student, please check out the “intro video" (3rd video from the top). Rachel’s Challenge was founded by Darrell Scott, father of Rachel Scott. Rachel was the first victim to be killed in the Columbine High School tragedy on April 20, 1999. The mission of Rachel’s Challenge is to inspire, equip and empower every person to create a permanent positive culture change in his/her school, business and community by starting a chain reaction of kindness and compassion. 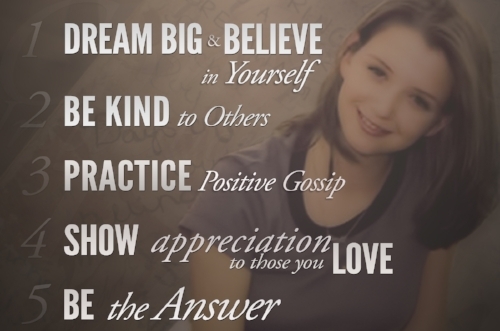 The Rachel’s Challenge program is a tribute to Rachel Scott and her enduring message. Please understand that this is not a presentation about the Columbine High School shooting, nor is this a presentation about school violence or school shootings. The assembly is not even an "anti-bullying campaign." Rachel's Challenge is about students and adults showing kindness and compassion towards each other and how one single act of kindness can start a chain reaction. At Riverwalk Academy, it is one of our goals to provide a safe learning environment that fosters tolerance and respects individual differences. We strive to create a school culture through the education of our staff, students and parents/guardians in which each individual feels physically and emotionally safe, accepted and treated with dignity. It is our hope that Rachel’s Challenge will provide us with more tools to transform lives. We are thrilled to have the opportunity to host Rachel’s Challenge at Riverwalk Academy and we looking forward to the chain reaction that is forthcoming. If you have any questions or concerns, please do not hesitate to contact our Guidance Counselor, Ms. Carr .